When will you pick up your car? Attention: in the coming weeks tunnel maintenance has been planned. Are you parking between the 8th - 26st of April OR April 29th - May 1st in P3 Long Parking or P4 Basic Parking? Between 22:00 and 04:00 the Buitenveldertunnel is closed for maintenance. Expect an increase of your travel time of about 35 minutes. More information. P3 is a convenient place to park if you plan to travel for 3 or more days. You can park in either unsheltered parking, or opt for the car park building. The parking is easily accessible from the motorway. A free Express Bus leaves every ten minutes and brings you to Departures in about 5 minutes. There is a convenient load/unload zone for baggage at P3’s entrance, so you won’t have to carry your suitcases across the car park. Holiday Avenue, 1118 ZG Schiphol, Haarlemmermeer. See the route on Google Maps. 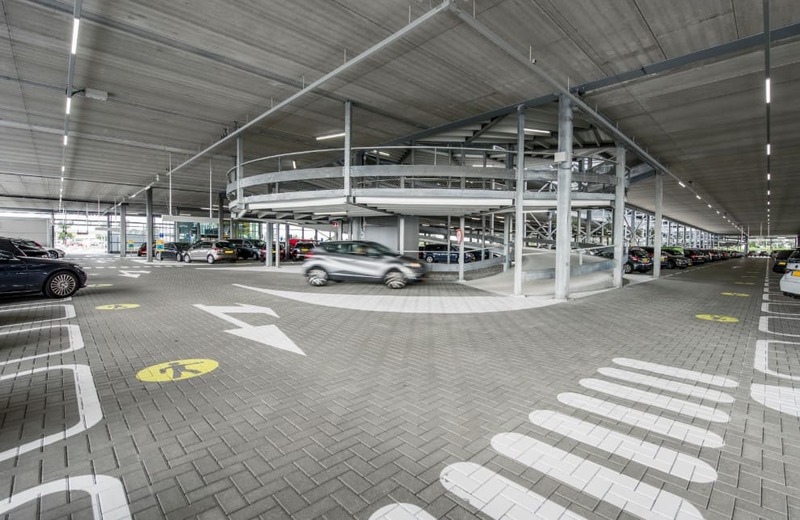 There are two places you can park when you park at P3 Long-term Parking. That’s either in the car park building, or in the parking lot. Your car will remain dry if you park in the car park building, whereas you can park for less in the parking lot. You need only choose what’s best for you. You can check-in your bags at the same time during May and the summer holidays. To do so, you must be flying with KLM, TUI or Transavia. If you are, use the free check-in desk at the car park, then hop aboard the bus to Departures. You will have no heavy suitcases with you, which means you’ll be on your way in no time. The free express bus leaves every 10 minutes and takes you to and from the terminal in 5 minutes. The express bus stop is located at P3 just near the car park, and at the terminal opposite the arrival hall at the taxi stand and bus stops. The express bus runs 24 hours a day, irrespective of the number of travellers. You can only enter and exit P4 using our automatic number plate recognition system. We scan your number plate at the barrier, then you take a parking ticket from the machine. You need to use this ticket to exit the car park. At the time of reservation, you can also decide to enter using your credit card. Simply present your credit card at control gate barrier. Our system will recognise your card, and the barrier will open automatically. When you leave, you simply present the same credit card at the barrier and you can drive out straight away. In the P3 car park building, your electric car can be charged if space is available. You will find the electric charging stations on the ground floor to the right of the entry. The consumption rate for electric charging is € 0.36 per kWh, with a starting rate of € 1.21. It’s not possible to book a charge point in advance. People with reduced mobility are able to park both in the car park and in the parking lot. The accessible car spaces are located in the car park building to the left after the entry, and in the parking lot right after the entry. There are no extra charges to use them. Simply ensure that your disability card is clearly visible behind the windscreen before you leave your car. Our airport assistants will be happy to help you to and from Departures and Arrivals. It’s not possible to book a parking space for people with limited mobility in advance. Cars of more than 2 metres in height can only be parked in the P3 parking lot. The maximum height for P3’s car park building is 2 metres. Advance reservations are not necessary to park at Schiphol. You can simply drive to the most convenient place to park on your departure date. However, it costs more to park on the day of departure, than if you were to make an advance reservation. The arrival and departure times made during your reservation are indicative only. If you unexpectedly arrive at a later time than you originally booked, please factor in extra costs (€ 10 per day). Are you parked at P3 Long-term parking? In the coming period, you will drive off the parking lot, through a temporary exit. In the animation we explain where you can load and unload your baggage and how you drive off P3. 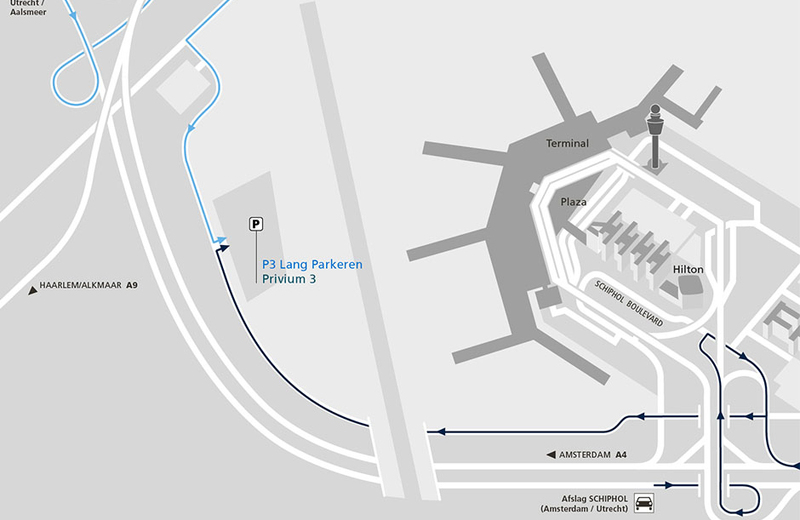 You can easily reach Schiphol P3 Long-term Parking in two ways. 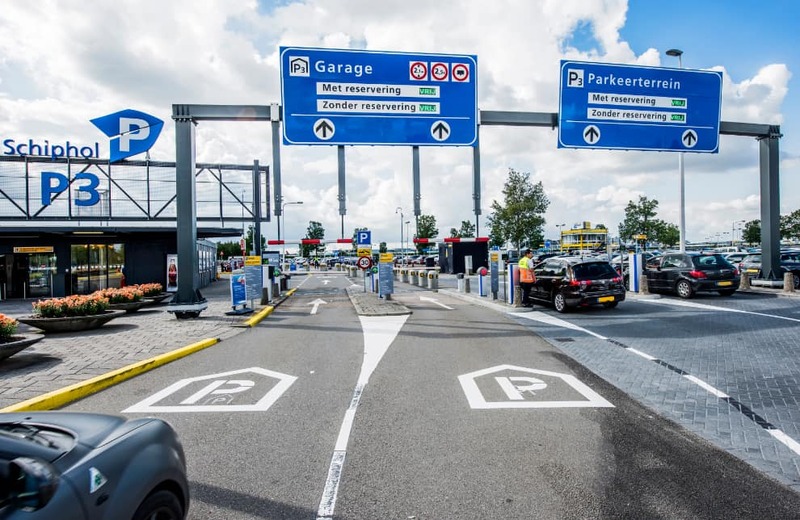 Simply set your GPS to Holiday Avenue, Schiphol, Haarlemmermeer, or follow the road signs once you arrive at Schiphol. If you would like to completely cancel or change your reservation – for instance, to add a licence plate or switch to a different parking area – you just need your email address and booking number at hand. You can change your reservation up to 24 hours in advance for no extra charge. To make changes, simply log in to our system with your reservation number. You can cancel your reservation for € 5 up to 24 hours in advance. To cancel your reservation, simply log in to our system with your reservation number.